What is a Therapy Animal? IT IS NOT A SERVICE DOG. Temperament and sociability are the most important factors facilties are looking for in a therapy animal. They want an animal that is self-assured and confident, without being aggressive: an animal that has been well socialized and exposed to many types of situations, people and animals. An animal who is friendly and who really likes people is a promising candidate. The animal must be well-behaved. No jumping, running around, barking, or licking people uncontrollably and must always be under the handler's precise control. In addition, a therapy animal must be comfortable working around people who are bedridden or in wheelchairs; they must be able to deal with the excited squealing and grabbing of small children, the beeping and alarms of medical equipment, and the unpredictability of patient or parent reactions. In addition to all of this, these wonderful animals must enjoy their work. Why do we take animals to visit once they have passed required testing and Certification through an established Organization? 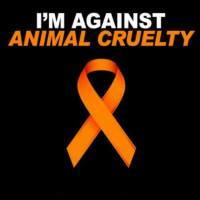 We want to share our animals with other people - especially those who are more vulnerable, lonely, or in pain. Working with the people we visit is rewarding and fun. 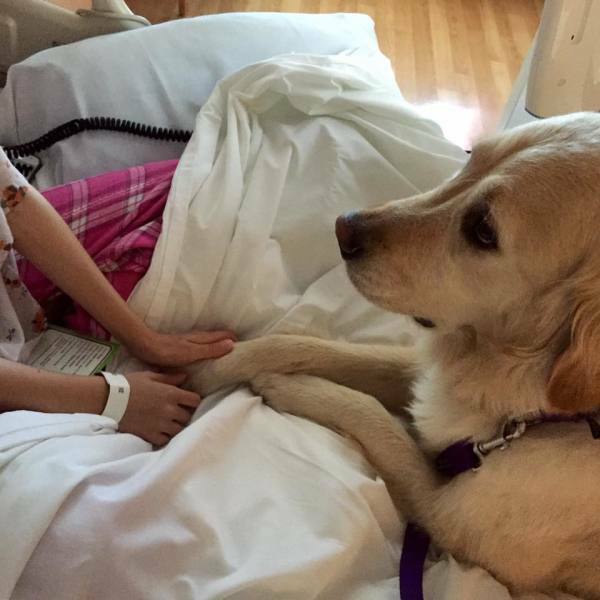 It is wonderful to see the affection between the patients and the dogs. What do therapy animals actually do? Therapy dog activities vary from simply snuggling a patient and offering a warm furry body for petting, to more advanced skills such as walking with walkers, playing catch, fetching, doing obstacle courses with patients, etc. B. Decrease physiological phenomena such as blood pressure, depression, heart rate, etc. E. Provide unconditional love and acceptance. If you have questions about Therapy Dog training, contact us. Therapy Dog is not a service dog.